While a baby is inside its mother’s body, it grows really, really fast. It begins as a tiny embryo – smaller than a grain of rice. After two months, the baby is about the size of your finger. During this time, babies develop a brain, eyes, ears, bones, muscles and everything the baby needs to live. Babies weigh around 7 pounds when they’re born. In only 9 months, they grow from the size of a grain of rice to the size of a small watermelon! All About Growing Up: Newborn babies can recognize their mother’s voice. Babies grow quickly even after they’re born. In the first year, they learn to eat, sit up, crawl, walk and talk. 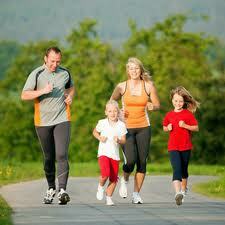 By age two, children can run, hop and talk in sentences. Right now, your growth has slowed down a little, but you’re still growing. You’ll keep growing until you’re about 20 years old. In the first year, babies learn to eat, sit up, crawl, walk and talk. Do you remember how tall you were when you were two? Double that and you’ll have the size you’ll probably be as a grown up. 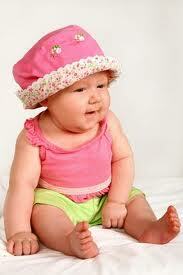 Newborn babies can recognize their mother’s voice. Your body will start to change between the ages of 12 and 14. If you’re a girl, your breasts become larger and your hips become wider. If you’re a boy, your voice grows deeper and your shoulders become wider. These changes are part of becoming an adult. Taking care of your body helps it go grow. Healthy food, exercise, clean water and plenty of sleep can help your body grow strong. Exercise keeps you healthy and strong. Read on for more all about growing up. Healthy food is important for your body growth and health. A video about the first stage of human development inside the mother’s body. Question: How tall do most people grow? Answer: Men are usually taller than women. Most men grow to be about 6 feet tall. Women grow stand between 5 and 6 feet. Question: Do children grow faster at certain times than others? Answer: Children seem to grow faster in the spring than at other times of the year. 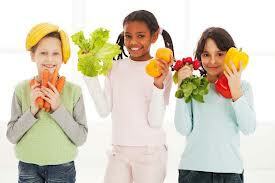 Enjoyed the Easy Science for Kids Website all about Growing Up info? Take the FREE & fun all about Growing Up quiz and download FREE Growing Up worksheet for kids. For lengthy info click here. Declan, Tobin. " Growing Up Facts for Kids ." Easy Science for Kids, Apr 2019. Web. 21 Apr 2019. < https://easyscienceforkids.com/all-about-growing-up/ >.